Enjay team will help you free in installing and configuring this connector as we would be more than happy to achieve your goals together. Now Support Sugar Version 7.x also ! ! ! ! Now Support Sugar on Demand ! ! ! ! When you are using a support system and a separate CRM it quickly becomes a struggle for the Sales team to keep tabs on things. For example to see the status of their lead's support requests. The challenge is that your support cases exist only in Freshdesk. Without a seamless integration the only solution is to have your support and sales teams manually enter all Freshdesk tickets into SugarCRM as well. This is a huge headache and a time consuming process that requires a significant amount of manual effort. With the Freshdesk - SugarCRM integration, your contacts, accounts, support tickets, replies, and notes move between your help desk and your CRM seamlessly. Freshdesk is the perfect tool for your customer support, SugarCRM is awesome for the sales team, and this integration allows both teams to use what is best for them. We walk you through the most common needs for moving data back and forth between Freshdesk and SugarCRM. 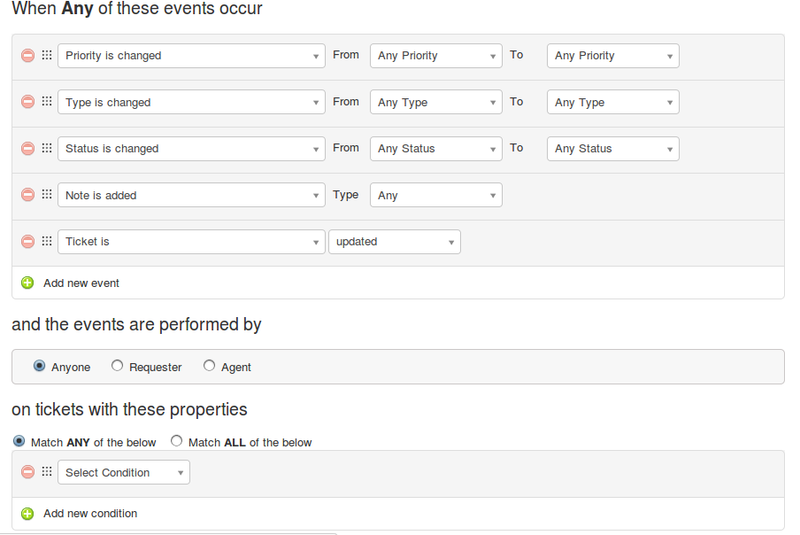 * Whenever a ticket is created on Freshdesk it generates a case on Sugarcrm. * All Case details eg : subject,description,priority,type,status and product info is sent to sugar. * Any attachments on ticket are send as attachment links on case description. * When a ticket is created , we check the email address of the user who registered the ticket and it that contact don't exists,we create a new one. * If the Freshdesk Contact have an account,even that account is created on Sugar. * When a ticket is responded with either the reply or note on Freshdesk, it creates a Note on Sugar and also relates it to proper Case. * Any attachments on reply are send as attachment links on note description. * If a note is created either from cases subpanel or from notes module in Sugar , it will create a reply on Freshdesk. * Also posts the attachments from notes to Freshdesk Reply of respective Ticket. Perfect relationship between Contact,Account, Case & Notes. The Case in Sugar will have its related Contact , Account & Notes(Freshdesk Replies). All cases registered by a particular Account & Contact will also be seen in its respective Cases Subpanel. All replies of a ticket/case will also be seen on Cases subpanel.